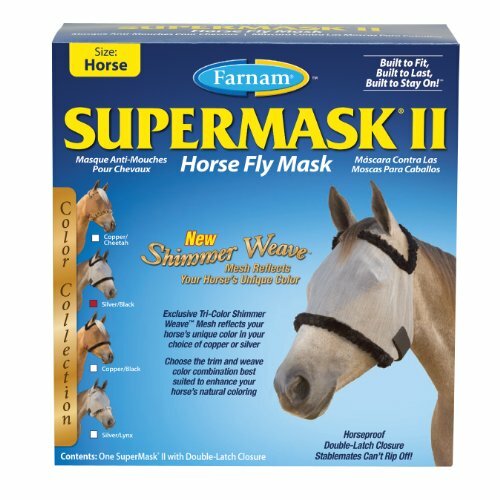 SuperMask II without ears, Shimmer Weave mesh color collection combines function with fashion like no other fly mask! The exclusive tri-color Shimmer Weave mesh reflects your horse's unique color, in your choice of trims. New and improved design. 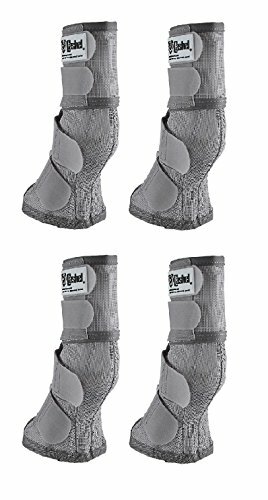 Made of Soft, Vinyl Coated Polyester Mesh. Mesh and Nylon Trim will NOT collect burrs and stickers Top Inside Rim has Nylon Padding for Extra Comfort. Padded Fetlock Areas keep mesh from rubbing pasterns. 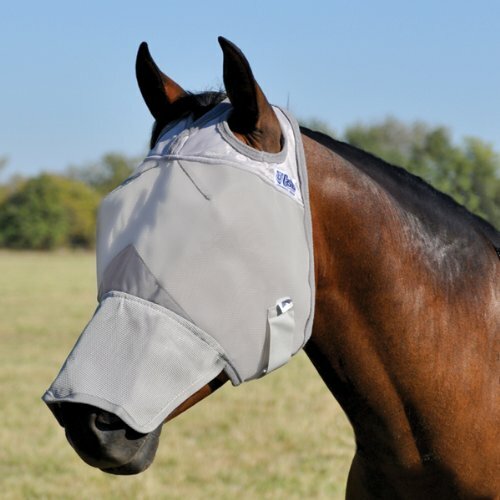 The Prairie Horse Supply Fly Masks are designed with your horse's comfort and protection in mind. Our masks are made from the highest quality material and finest workmanship. Specially constructed around the eyes and ears. Our fly masks are created with sewn-in darts that shape the fabric around the eyes. 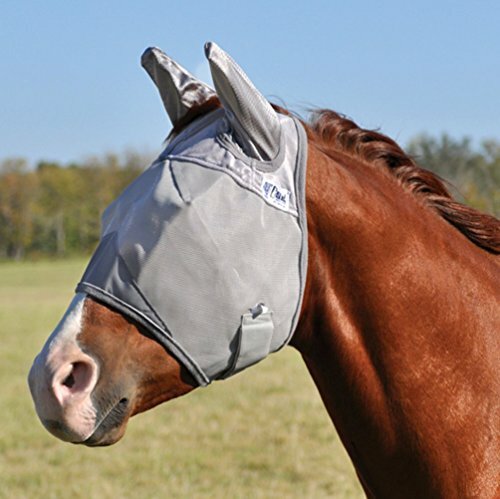 The darts will prevent the mask from touching or caving in around your horse's eyes. We have perfectly patterned the ear-holes to align with your horse's ears. For the masks with ear coverings we have made sure that they are roomy enough for the ears. Finally it is important that the mask is adjustable and secure, we have included a double heavy duty velcro closure. 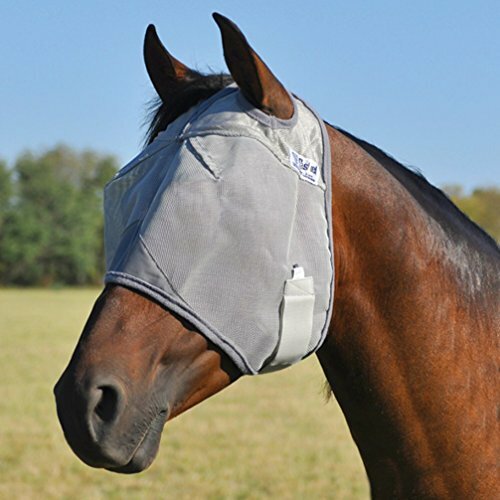 As a result, our design will keep your horse comfortable and protected from face flies, ear gnats, pesky insects and harmful sun rays. 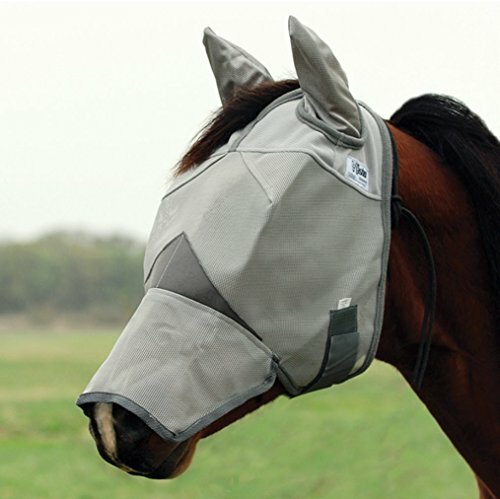 This mask can be used with or without the bridle. Use in the barn, stable, pasture or on the riding trail. 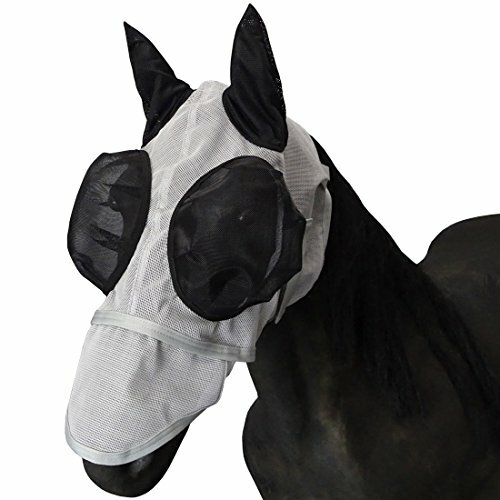 The Prairie Horse Supply Fly Masks come in 4 different styles and 7 different sizes, your choice: Styles: 1) Standard (no ears or nose), 2) With Ears, 3) With Long Nose, and 4) With Ears and Long Nose. 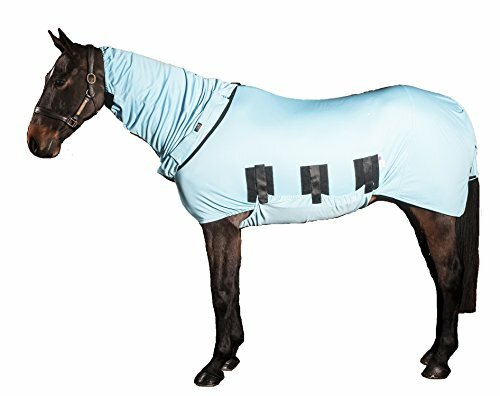 Sizes: 1) Mini Foal 2) Weanling Small Pony 3) Yearling Large Pony 4) Arab, Cob, Small Quarter Horse 5) Horse 6) Warmblood 7) Draft Machine washable, 100% satisfaction guaranteed. TAKE THE "HORSE HOUDINI" CHALLENGE! 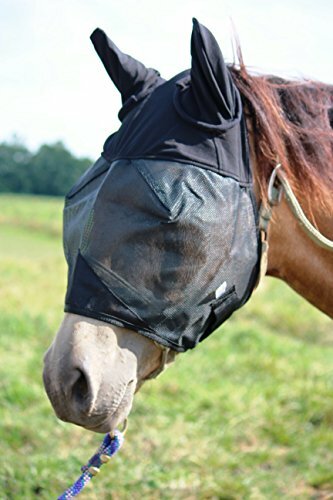 Stop their fly mask disappearing act! A superior patent pending unique design of 3 strategically located darts across the forehead creates a "Vizor" made from a soft UV proof EVA lining and a UV proof PVC mesh. It lifts & extends the mask up and prevents it from collapsing on the eyes. This combined use of EVA lining & PVC mesh not only helps avoid eye injuries but also increases the overall UV protection to 95%. The combined use of these two materials also insulates the forehead from the heat of the sun and increases shade and ventilation to the eyes. A first of its kind Safety Quick Release Clip System features two adjustable straps (one over the poll behind the ears and one under the throat) along with a Velcro strap under the chin. 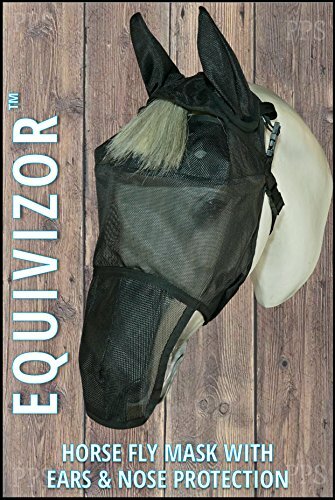 This not only creates greater size adjust-ability to help fit your horse better, but also helps to prevent your horse from removing their mask. Please note that Protective Pet Solutions shall not be held liable for any injury to an animal sustained as a result of the proper and reasonable use of our products. Copyright © Wholesalion.com 2019 - The Best Prices On Fly Protection Horses Online.